Ville de la Tête d'Or - well, Lyon... second largest city in France that was always out of our way in prior travels and which I wanted to see during our trip last year. 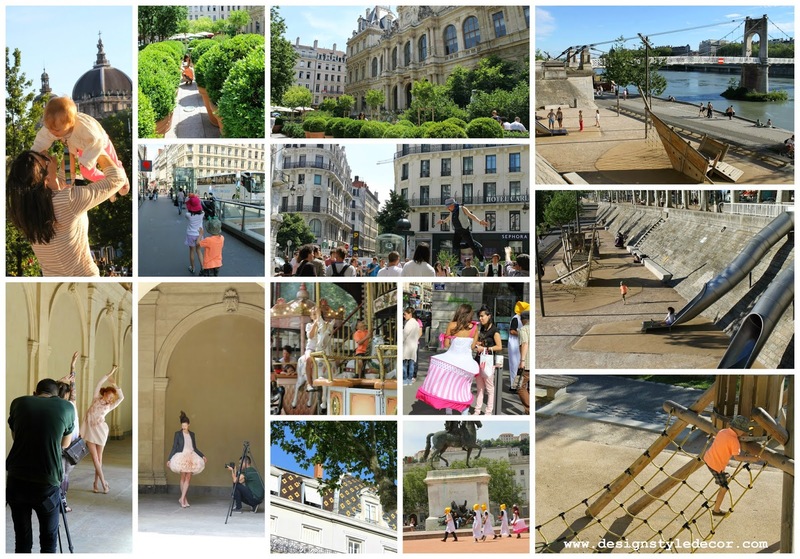 As mentioned in earlier travel posts, here and here, we stayed outside Lyon and traveled to the city every day. I cannot say that I was impressed by it very much - it could be due to loving Paris so that everything else pales in comparison, or that "we" just did not click. It happens sometimes.. We spent good three days there visiting old center, parc de la Tête d'Or, and finally new center with a bit of shopping on the side.. Looking back at experience, and looking at the pictures, I am actually liking what I am seeing and remembering.. I guess I just needed a bit of time to process and digest all the experiences and find what in Lyon can make me click with it. 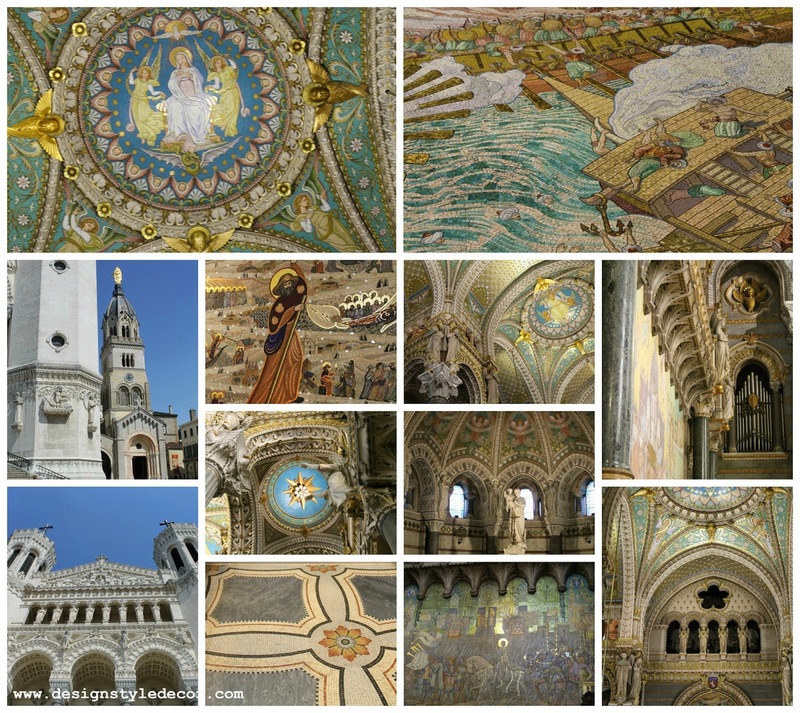 What I loved was Basilica of Notre-Dame de Fourvière - just incredibly and elaborately decorated - one of the nicest church interiors that I've seen - and I've seen many. Images below do not do it justice.. 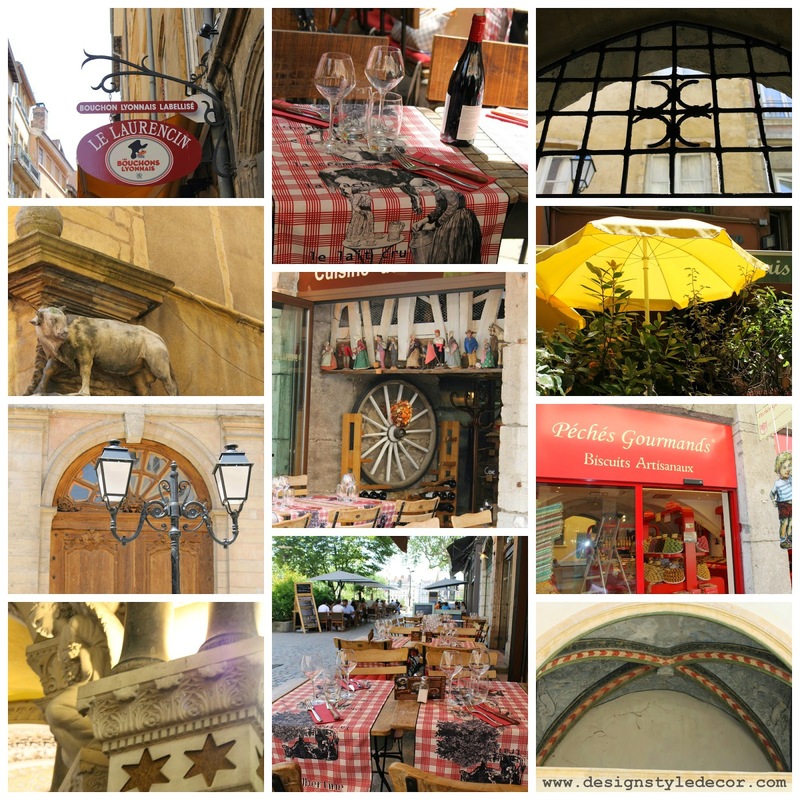 While we were in the old town (Vieux Lyon) enjoying lunch in one of the bouchons and lazily taking in all the little details. We spent full second day at Parc de la Tête d'Or, enjoying little theatre, greenery, animals, sculptures, games and playgrounds.. 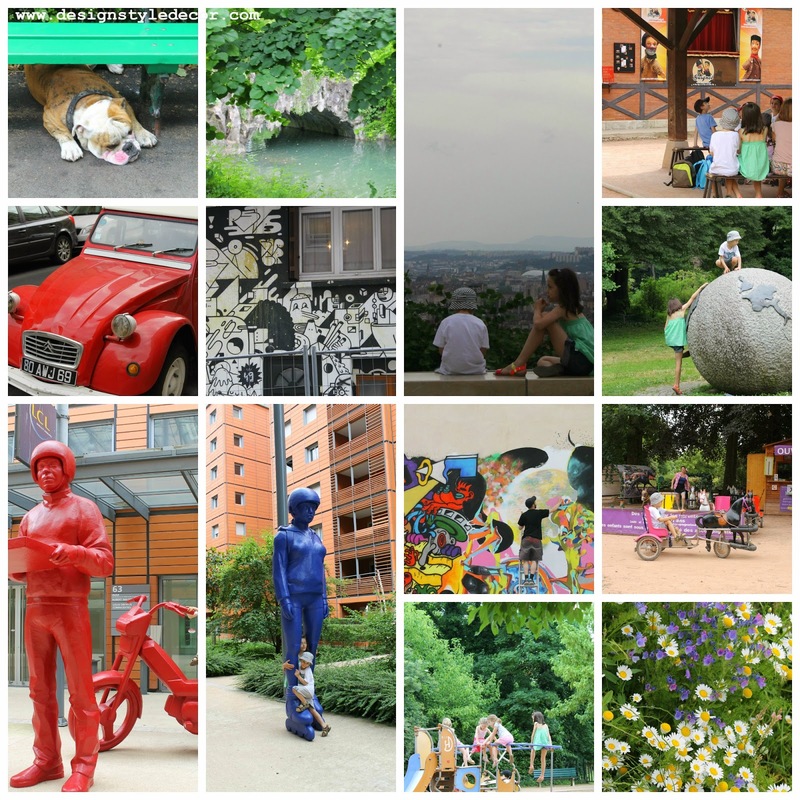 When traveling with kids - there needs to be some trade off for them and France provides that and more..
Our third day in Lyon was in a more grandiose setting of the "newer" downtown area indulging in a bit of shopping, more interesting playgrounds, sightseeing and just taking it easy. That day we happened to be there on a local holiday so we witnessed some of the celebrations as well, not to mention shooting of a movie (middle photo with a man suspended in the air) and fashion photo shoot. Finally, we went to a cafe for some refreshments where a few employees were having some cakes - they were celebrating their Fete. I mustered up my best French to ask the name of one of the cakes so I could order it as it looked oh so yummy. They told me that it is not something I could order and offered a piece which I politely refused. The next thing I know they gave me a plate with a piece of every cake (some 6-7 of them) they had on the table to try. Amazing! !